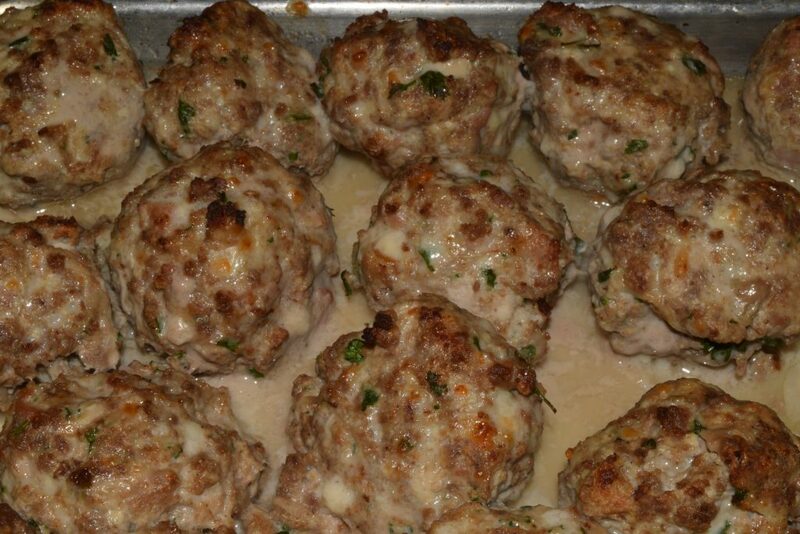 I have a blog prepared on meatballs. I was supposed to give away the secret to these melt-in-the-mouth balls of fried gold. But… you are going to have to wait for next week. You will not be disappointed, I promise it will be worth the wait. Here is a sneak peek. So why the change of plans? Well, I had magic moment this evening and I wanted to share it with you. Sometimes the protein is the star of the plate – in fact, usually the protein is the star of the plate. 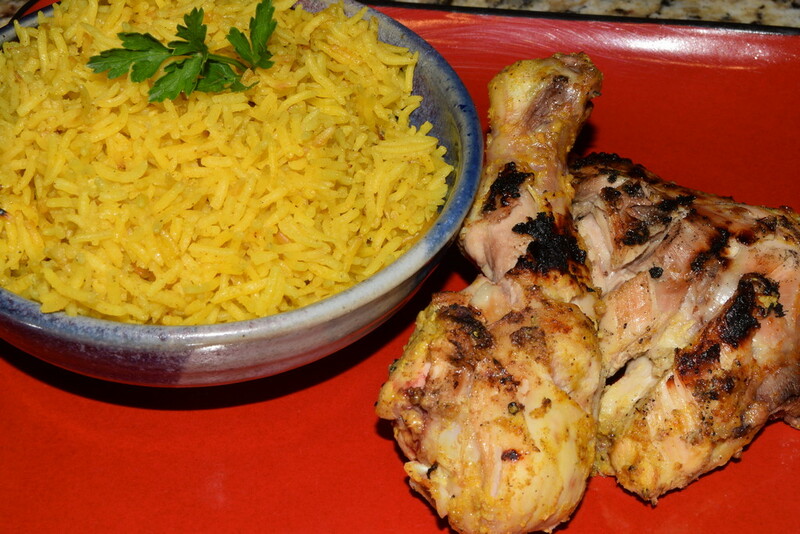 Tonight, I served spiced basmati rice with our Tandoori Chicken (I will post that at some point, rest assured.) I have a rice cooker that I use on a regular basis. No home should be without one. I also use my pressure cooker to make rice, especially if I am making wild or brown rice. 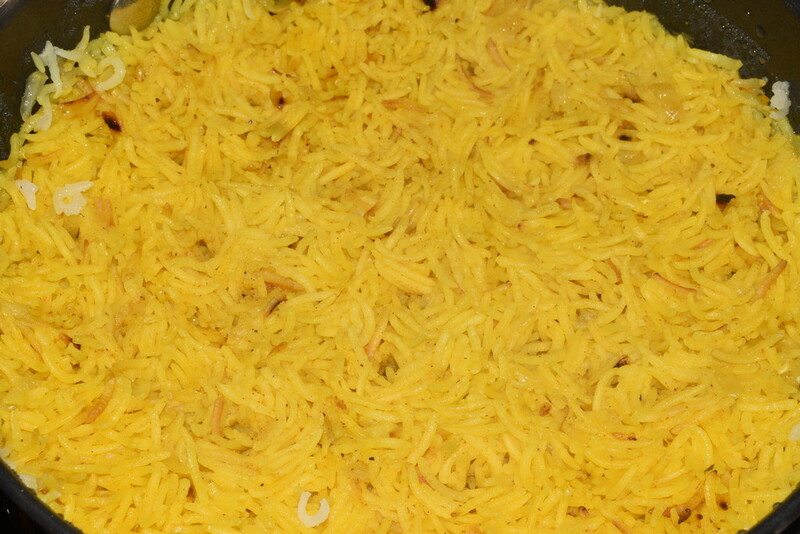 However, Madhur Jaffrey has a stove-top method for making rice and it is right on the money – once you have determined the correct amount of water for the type of rice you are preparing. The method is simple. Soak the rice. Add the liquid. Bring to the boil. Cover tightly and turn the heat to the lowest possible. Cook for 22 minutes. Let stand for however long it takes until you get everything else ready. The first method that I ever learned was – Dump rice in a pot and boil it. 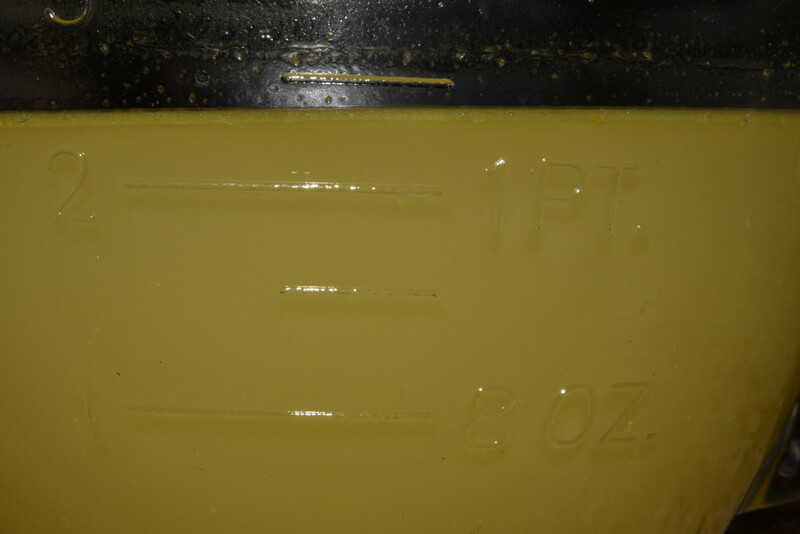 Strain off excess water and serve. Now this is a common method for most food in England. That is why you probably don’t have an English restaurant in your neighborhood! The Jaffrey method works because you use only enough water to be absorbed by the rice in order to reach the desired texture. The top is sealed with foil to prevent any liquid from evaporating. 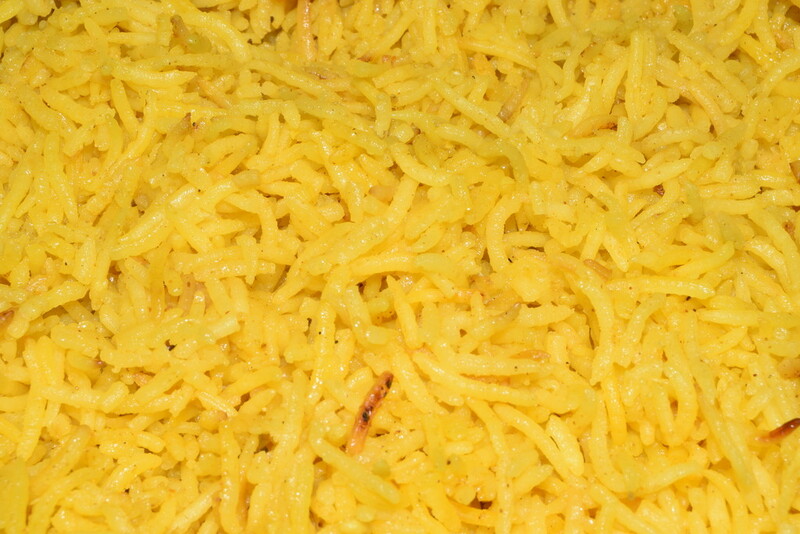 The above picture basmati rice – sweet, slightly earthy and definitely nutty – requires a ratio of 1:1.25 or 1:1.33 rice to water, depending on brand. Plain long-grain rice is usually about 1:1.5 and brown rice takes about 1:2 – YMMV. 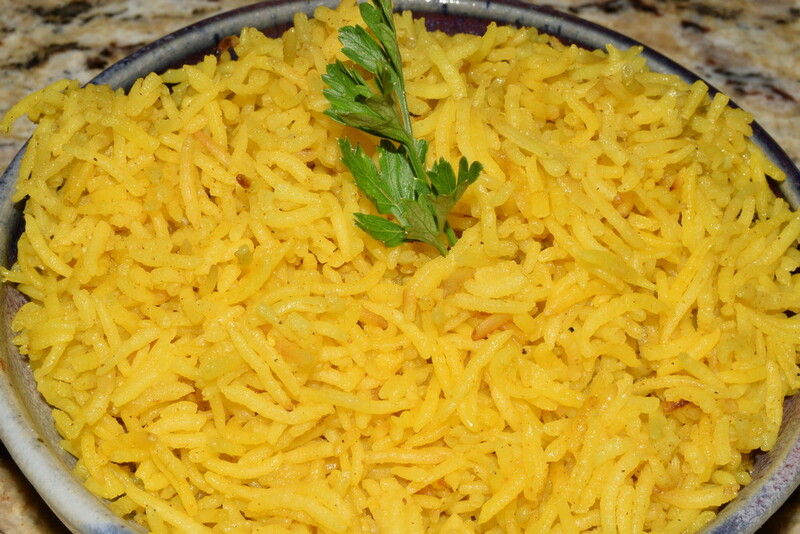 In addition, sauteing the rice in EVOO is also going to help it to stay separate, fluffy and toothsome. 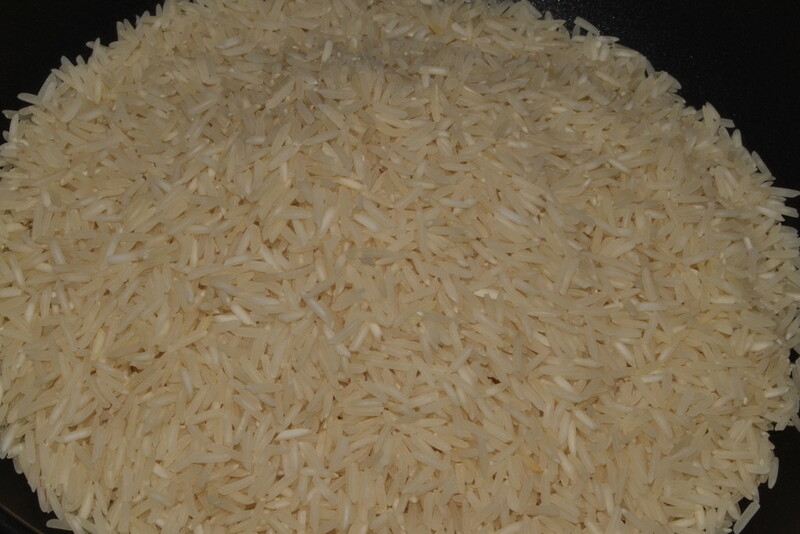 Wash the rice in several changes of water, before soaking it for 20-30 minutes. Drain and set aside for 20-30 minutes. 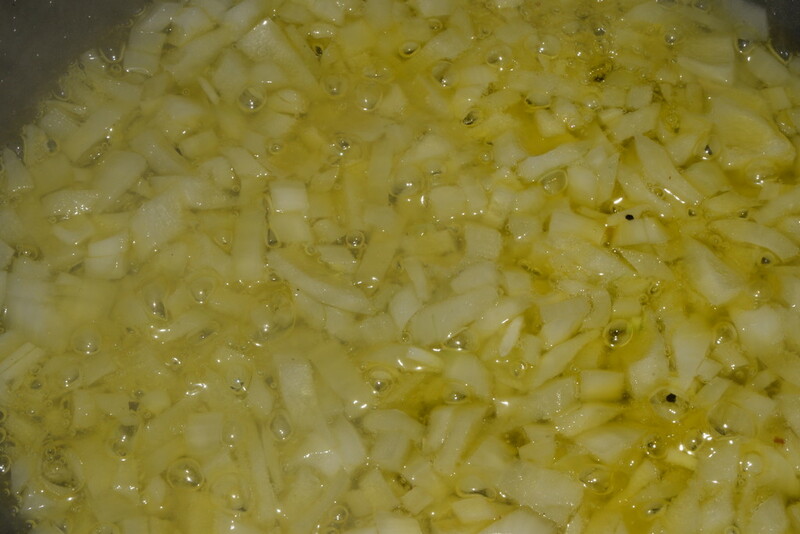 Saute the onion in EVOO until soft. Add the drained rice and three or four cloves of minced garlic. Continue to saute for another couple of minutes. You might also add a finely chopped Jalapeno (with or without the seeds) depending on how spicy you like your food. 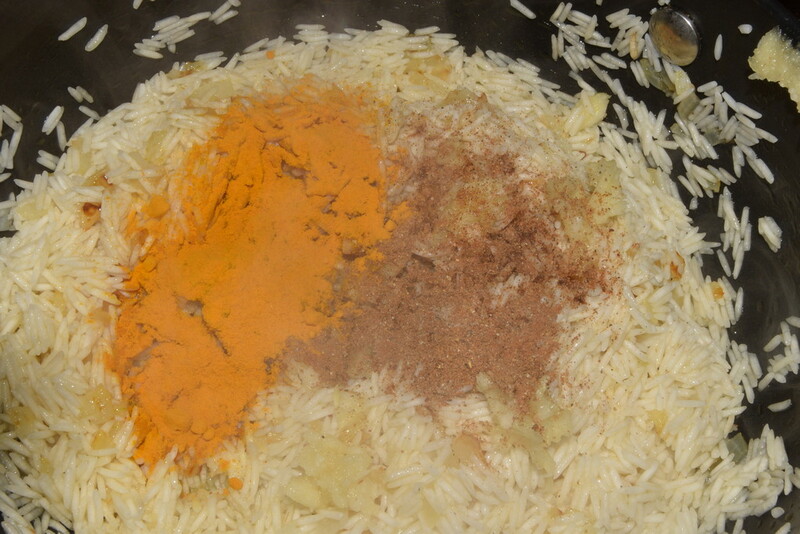 Add .5-.75 of a teaspoon of Garam Masala and the same of Turmeric. Keep frying the mixture and mixing in the spices for another couple of minutes. 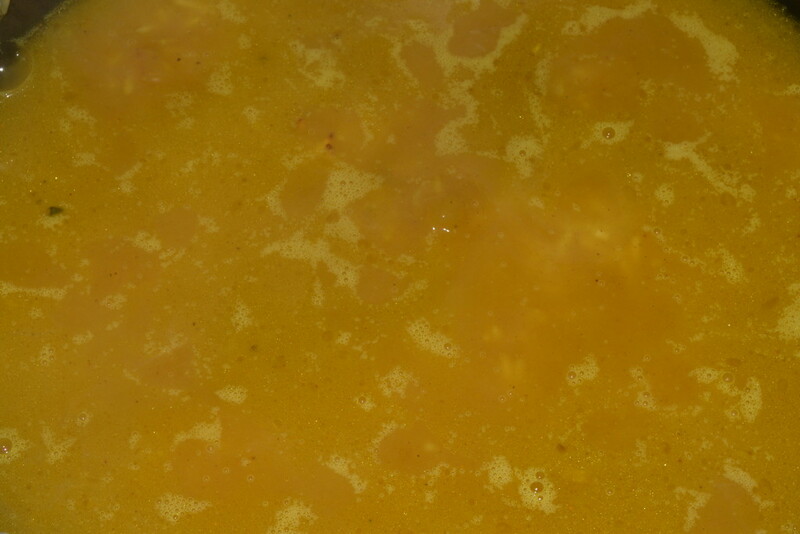 The add chicken stock to the pot. 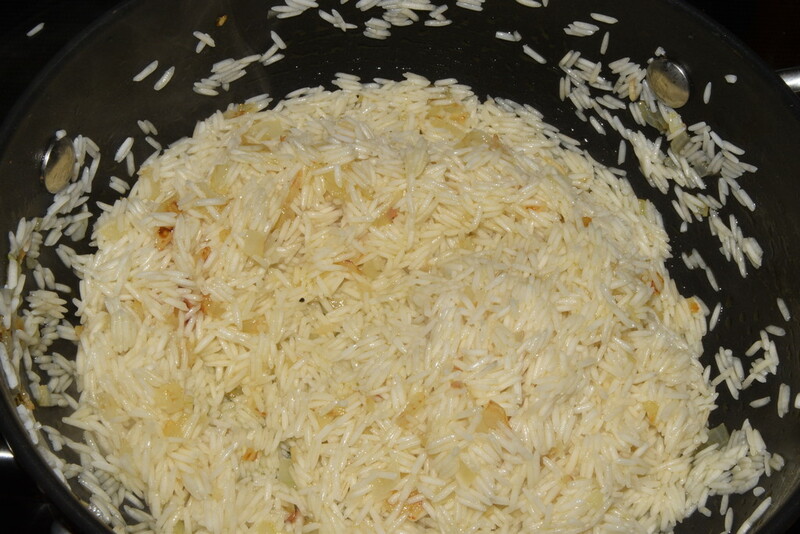 Since I was using 1.5 cups of basmati rice, I used a little over 2 cups of liquid. 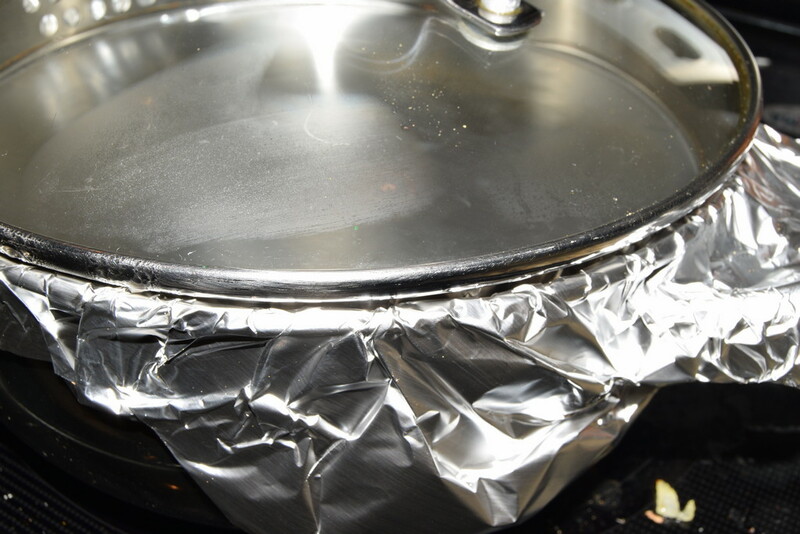 Tightly seal the pot with both aluminium foil and a snug lid. 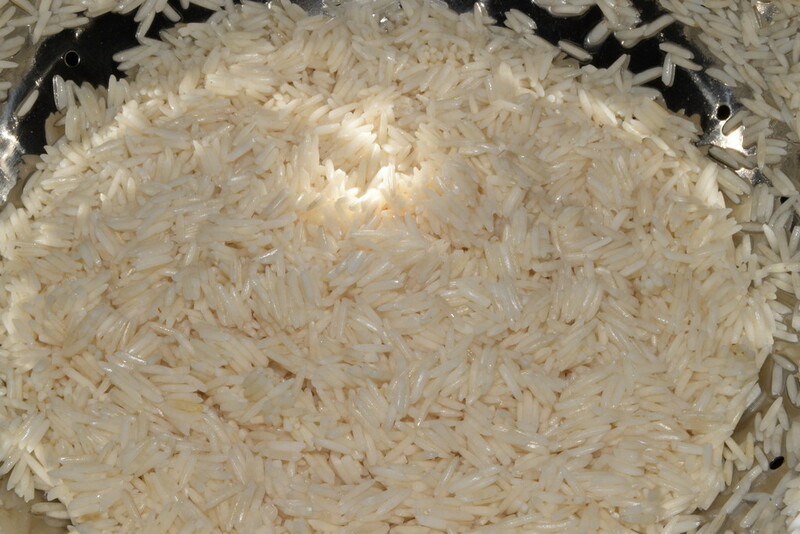 The intention is to keep all of the steaming liquid in the pot so that it is absorbed by the rice. Now turn the heat to the lowest that you can. This is easily done on a gas stove, but it can be done on an electric range too. Be brave. Leave the rice on this low heat for approximately 20 minutes. You can then remove it from the heat and allow it to sit. You probably have a good 30 minutes before the rice changes temperature or consistency, so this method is a good one to use if you are unsure how long the rest of the dish is going to take… or you do not want to have to worry about what is happening to the rice while you do something that requires most of your attention/concentration. When you first remove the lid, it will look a little flat. A quick woosh with a fork or spoon will fluff it up and demonstrate that you have individual grains with texture. The aroma is also intoxicating. My dinner companion was not convinced that the rice was the star… but I knew better! Still, the Tandoori Chicken wasn’t bad either!